New dog portrait sketched out. 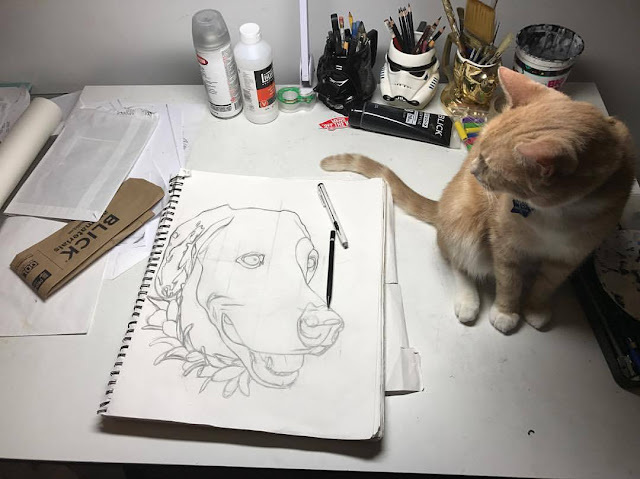 I have a new dog portrait sketched out on the drawing pad. This one is of Bear. Frankie is overseeing the process as always. Here is Maximus! Max is my dog that my wife and I adopted 5 months ago. 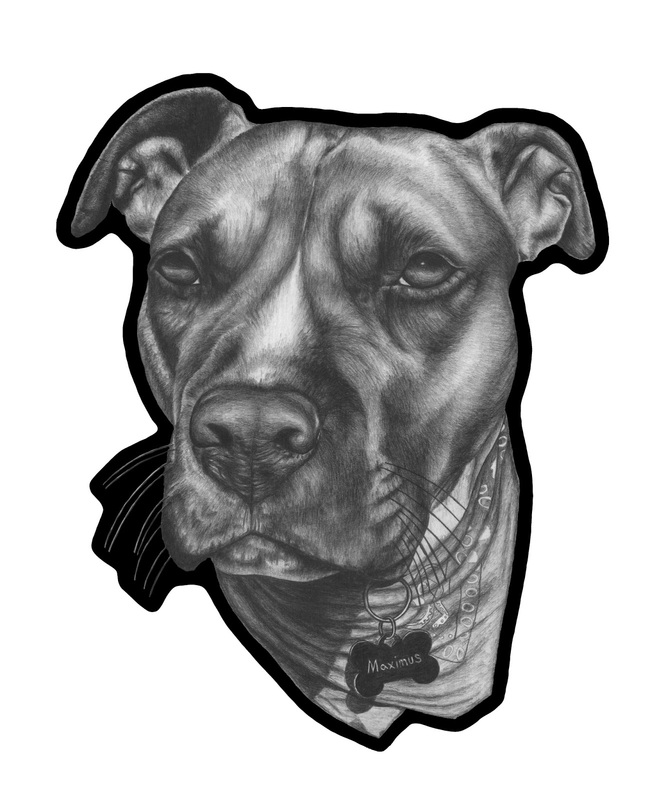 He is an American Staffordshire Terrier and an amazing, happy dog. He was found wondering around North Philly alone. I'm so glad to have him in our family now! 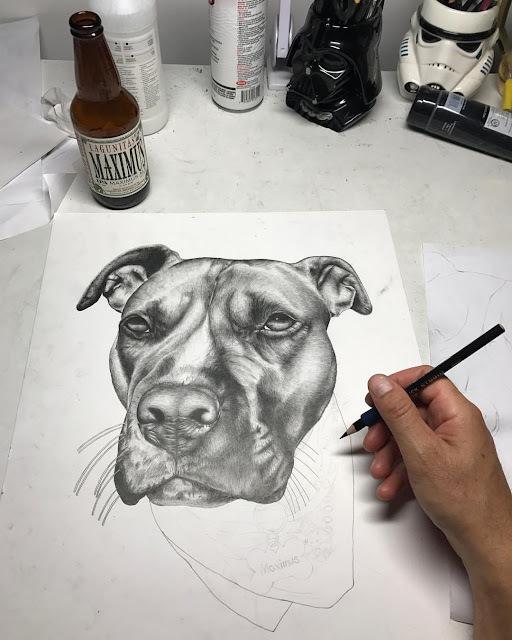 In between grilling and biking, I'm drawing my dog Maximus. Max has been a great addition to the family. We have had him now for 4 months. Stay tuned for Maximus' dog portrait! 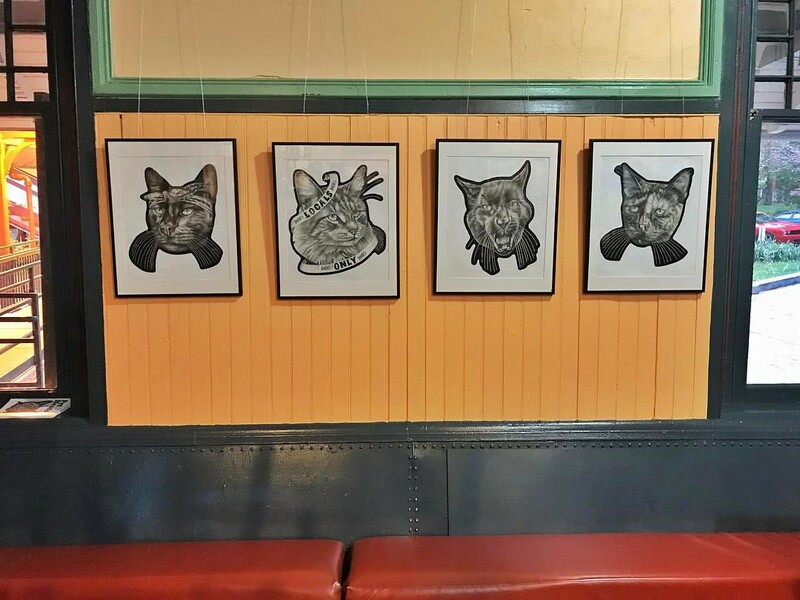 A big thanks to High Point Cafe for having my first Bad Cat Portraits art show. 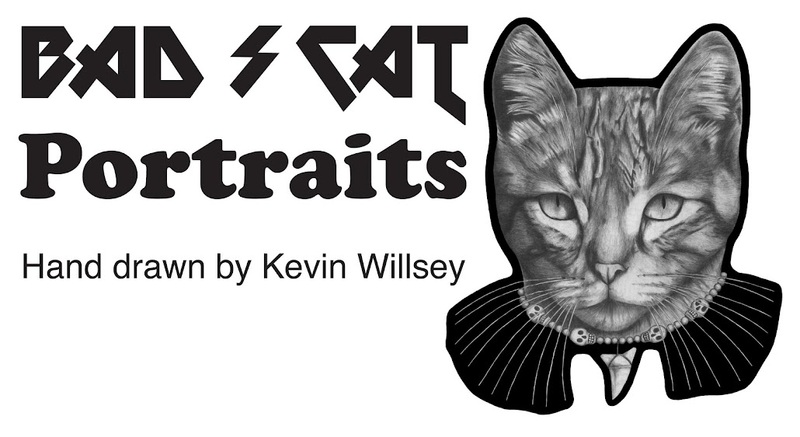 Yesterday I took down my "Alley Cats of Philly" portrait show. I hope to do another show in the future, but next time portraits of dogs.